We have heard scandals of tour operators running away with tourist money. This is so sad but YES it can happen especially if a tourist reserves a trip with untrusted travel operator. Booking safaris online are 99.9% based on trust between the visitor and a travel operator. Is unfortunate that some innocent visitors have fallen victims of theft by upcoming operators who are hungry for money. The whole reservation process for booking is typically done online through the exchange of emails between the two parties. The visitor, therefore, confirms the trip and even sends money without knowing the actual person he/she is dealing with. It’s after receiving payments that the fraudsters calling themselves tour operators block the communications with the client leaving him/her stranded. Also, some travelers reach the airport and find no one to pick him or her up, it’s a bad experience! We strive to protect future travelers from losing their money into the hands of untrusted travel operators. Whether you are traveling for gorilla trekking, game viewing, bird watching or else local community encounters, we advise you on the leading and trusted travel operators based on trip advisor recommendations and the experience of the company. We also advise on the best ways to choose the best-trusted tour operators to prevent falling victims theft. Before confirming which travel operators to book with, first that he/she is a full-registered member of tourism bodies in the respective country. In case of any miscommunication, a traveler can trace the tour operators and seek justice through these tourism bodies. In Uganda, ensure that a tour agent you are booking with a fully registered member of Uganda Tourism Board (UTB), Association of Uganda Tour Operators Association (AUTO) while in Rwanda, a travel operator must be a member of Rwanda Development Board (RDB). Travelers can, therefore, contact AUTO and UTB to confirm that the travel operators they are booking a safari with are a member. With its headquarters in Uganda and another office in Kigali Rwanda, Gorilla Trek Africa has been ranked as number ONE travel operator in Rwanda and Uganda with over 490 excellent travel reviews. The satisfaction of past travelers confirms that GTA is indeed the best travel operator to help you explore all beauties of Uganda, Rwanda, and Congo. 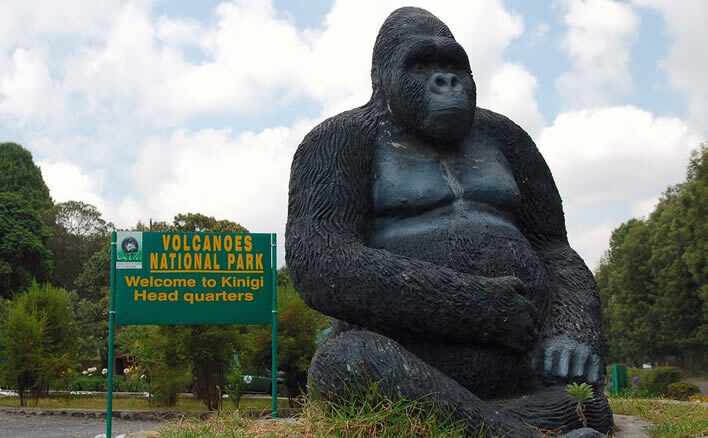 Each day, you hardly visit Rwanda or Uganda without meeting travel vehicles of Gorilla Trek Africa with visitors. The professional, understanding, kind and knowledgeable team of reservationist and guides at Gorilla Trek Africa make your safari exceptional and lasting. These people have answers to every travel question. Gorilla Trek Africa has been in tourism service for over 15 years, which experience make, them the best people to travel with. TEST them and you will confirm what we are talking about. For more reservations, Contact. In general, travelling with a best travel operator is one way to a successful and enjoyable safari experience. Contact a trusted travel agent, book you trip, enjoy and get value for your money.